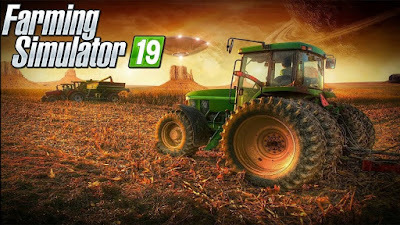 Farm like never before with Farming Simulator 19! The multimillion-selling franchise takes a giant leap forward in 2018, as the ultimate farming simulation returns this year with a complete overhaul of its graphics engine. Offering the most striking and immersive visuals and effects to date, along with the deepest and most complete farming experience ever on consoles and PC, discover more in the Reveal Trailer unveiled today. Farming Simulator 19 will feature, at launch, three distinct open worlds in which to develop and expand your farm, in solo or with friends: two entirely new environments will soon be revealed, as well as an all-improved version of the South American environment, which has been overhauled to take advantage of the new engine's capabilities. Farming Simulator 19 takes the biggest step forward yet for the franchise, and will bring great improvements to nearly every aspect of the game, not just greatly enhanced graphics. Its content will be richer than ever. With the addition of new big brands, Farming Simulator 19's garage will feature the franchise's most extensive vehicle roster ever. The game will also introduce new farming activities, new animals including horses, brand new mechanics, as well as new crops -- all of which we will be revealed in great detail over the coming months and future events. Farm like never before in 2018! Farming Simulator is stepping up its game with Farming Simulator 19 for PlayStation 4, Xbox One and PC!